When Charmain Bailey Foutner arrived as a student diaconal minister at Sandwich Town's Bedford United Church nearly four years ago, she knew she wanted to jazz things up. Originally from Antigua, she moved to London, Ont. in 1994 where she was a jazz singer before she was called to ministry and was eventually placed in Windsor. 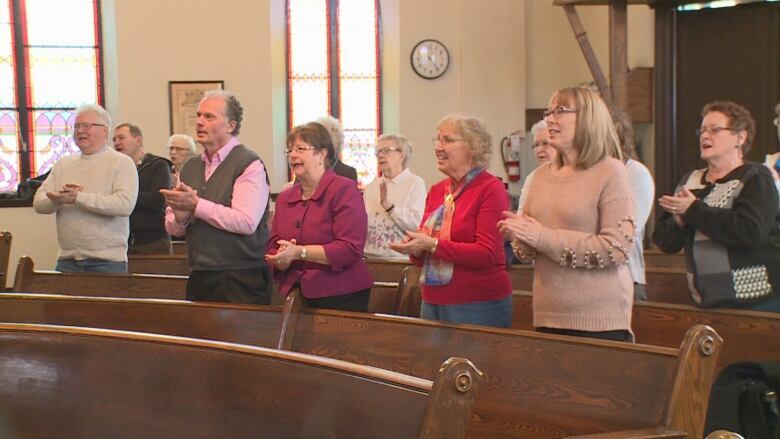 The services at Bedford United had previously been fairly traditional, the pastor explained. "One of the things I was adamant on changing, and excited to change was the pace a little bit — the energy," said Foutner. "I think that's where my background in jazz came into play. And of course, being someone of the Black community, I brought with me some of those concepts. For instance, what the people of the African-American churches do, there's just an amazing energy, and sense of spirit in those churches, and so I brought that." She tries to elevate that energy through upbeat music, and even in the ways in which she delivers her sermons. 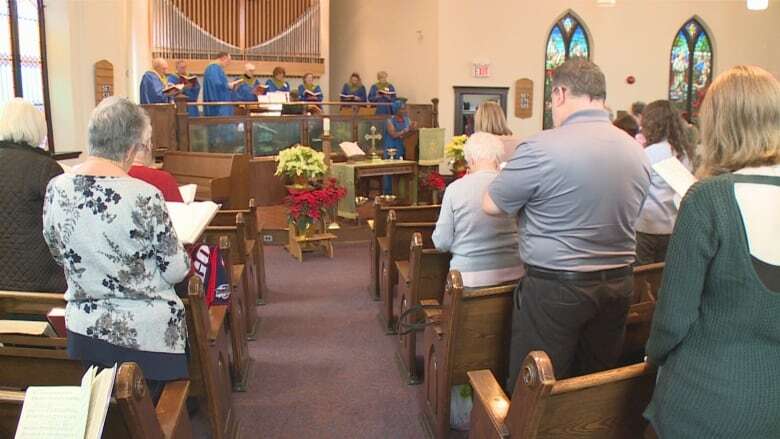 The congregation is made up of about 150 people, and on a regular Sunday, there are about 60 attendees. "The response has been overwhelming," Foutner said. "It's like family. I love the people that I serve here and they've reciprocated." Bruce Trothen, the historian at the church, explained that the previous minister had been working there for 12 years, so it was a hard position to fill because people were used to a certain way of doing things. Choir member Elinor Ure has been at the church for six years, and she says that ever since Foutner joined the church, the congregation has grown in size, and has become more diversified. 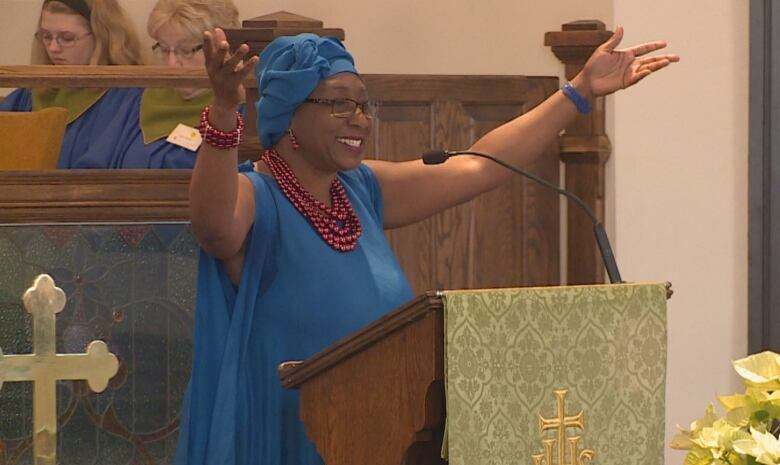 "I must say she has done wonders for this church," said Ure. "It's just so much livelier, because we get a lot of hand-clapping — and we did before — but more so now and Charmain adds to the music because she'll go off on a harmony and everybody just keeps going ,and we just know she's going to do that, so it makes it more fun, makes it more spontaneous." For congregation members Craig and Pat Drummond, Foutner brings a lot of spirit to the church. "She's so lively and easy to listen to, entertaining, authentic ... she's amazing," Pat said. Craig added that she brings a great sense of energy. "She's just so full of life and full of joy. And she brings that to her people when she leads worship and does a great job, she really does." In addition to Bedford, Foutner also serves at Central United Church, and does community outreach with the Downtown Mission and Bloomfield House. Overall, Foutner said the transition at Bedford United Church is still ongoing. 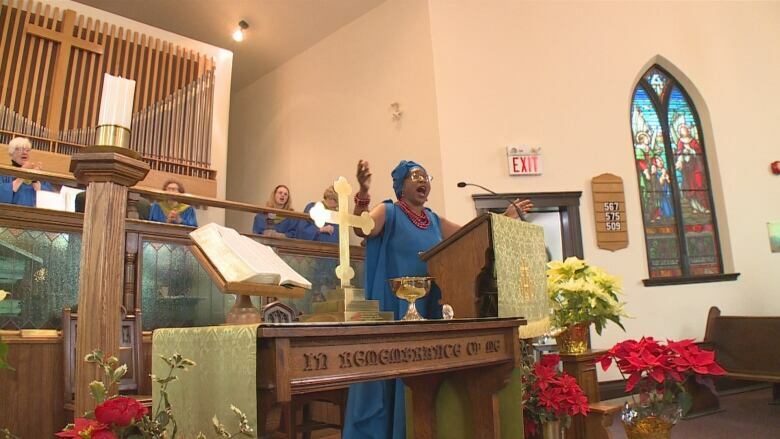 "I am not going to say it's been 100 per cent easy, but I think ... one of the good things about this congregation is that they're open to change, they're open to being multicultural," she said. "That's one of our challenges in the United Church, is how we can be more multicultural. But this congregation is really, is open to that. And slowly but surely they're warming up to the structural changes of the service." Katerina Georgieva is a multi-platform journalist with CBC Windsor. She has also worked for CBC in Charlottetown, Toronto and Winnipeg.